Nico and his wife have three little boys, so he spends a lot of his free time with his family. When he can, he likes to get outside and clear his mind with some biking, running, swimming, climbing, and scenic kayaking. Nico studies how cells recycle proteins. Proteins are constantly being made to carry out important functions in our cells, but they also have to be destroyed when they get worn out. Cells need to know which proteins to destroy, and if proteins aren’t being destroyed properly, they can form clumps called inclusion bodies. This occurs in various diseases like Alzheimer’s disease and Parkinson’s disease. For Nico, his major sources of inspiration are exploration and discovery. He is driven to do what he does everyday by his curiosity and a desire to help people with his work. As a kid, Nico liked going outside to observe and take notes on birds. He didn’t have dreams of being a scientist because he didn’t really know it could be a career. Nico’s career path turned towards science when he went to an information day at a University and registered for biology and chemistry sessions. He skipped the afternoon chemistry session because he liked the biology session so much. His laboratory just submitted a paper that they previously submitted a few years ago. At the time of the first submission, they thought they had everything worked out and were frustrated when a reviewer asked for one more (seemingly unnecessary) control experiment. The results of this control experiment were not as expected, and it took them two years to go back and figure out why. In a recent experiment, they ran a screen to find new drugs that inhibit the process that signals a protein should be destroyed. They hoped to potentially treat cancer with this method because cells (including cancer cells) that can’t destroy unneeded proteins will die. They found some promising compounds and are trying to figure out exactly what those compounds are doing and how they work. During his postdoctoral days, Nico went to Australia for a conference and was able to add on some extra vacation time as well. He had a phenomenal opportunity to go scuba diving on the great barrier reef. While he was under the see, he saw sharks and whales and even got to do some night diving! When Nico just started his lab, there was a blackboard in the hallway outside the lab that didn’t really serve a purpose. His students decided it needed a purpose so they turned it into the freak of the week blackboard. Every time someone made a mistake, they had to put it on the board and the other students would decide how many points each mistake was worth. It is most important that you enjoy what you are doing. When Nico first started at the Karolinska Institute, he worked on the ubiquitin/proteasome system with a major focus on the Epstein-Barr virus, which is responsible for acute mononucleosis. It was during this time that he developed the first reporter substrates for the ubiquitin/proteasome system and initiated his current research line on the ubiquitin/proteasome system in human disease, in particular in neurodegenerative disorders and cancer. 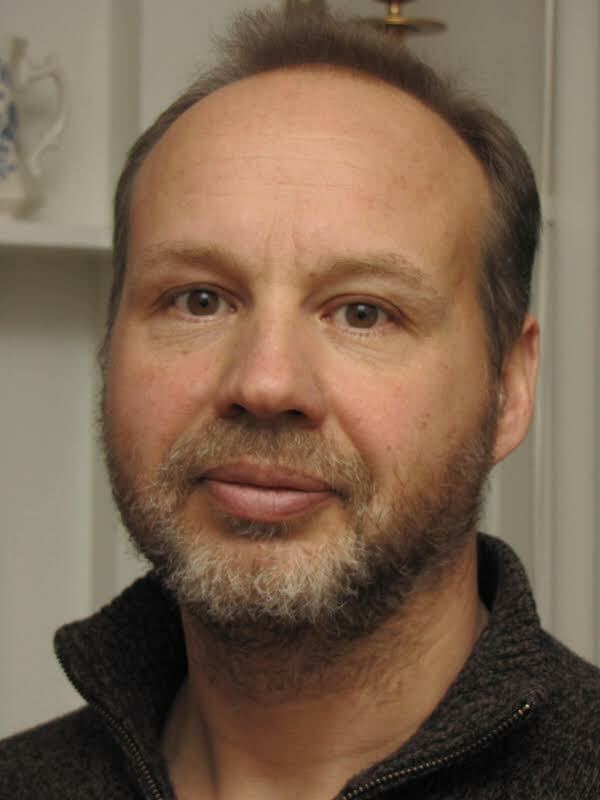 In 2003, while spending a sabbatical year in the lab of Prof. Jacques Neefjes at the Netherlands Cancer Institute in Amsterdam, Nico set up an assay for live cell imaging of ubiquitin, which led to the identification of DNA damage induced ubiquitylation of histone H2A. His research group moved in 2004 to the department of Cell and Molecular Biology, Karolinksa Institute. Currently, Nico’s lab is studying the role of the ubiquitin/proteasome system in neurodegenerative disease such as Alzheimer’s, Parkinson’s and Huntington’s disease. In addition, they are investigating the role of the ubiquitin/proteasome system in cancer and its potential as a therapeutic target. When he’s not in the lab, Nico enjoys exercising and various outdoor activities such as running, biking, swimming, kayaking, climbing, skiing, scuba diving and fishing.